Chicago Thai restaurant, Immm Rice & Beyond, has been a part of the Chicago community since October of 2015. We are in the heart of Uptown Chicago, on Broadway Street by Argyle. We offer a cozy, welcoming, and delicious dining atmosphere as well as takeout, and delivery in Chicago, IL. Our mission is to serve authentic and delicious Thai dishes made from family recipes. Love, care and soul is put into every dish as we believe customer satisfaction is the driving force behind success. Come to Chicago Thai restaurant Immm Rice & Beyond and experience a flavorful meal made with fresh ingredients and delivered with superior service. A few of our customer favorites include our Boat Noodles, Pad Thai, Basil Egg Rolls, and Mango with Sticky Rice just to name a few. Khao Rad Gang (Cooked Food in Steam Table served over Rice). 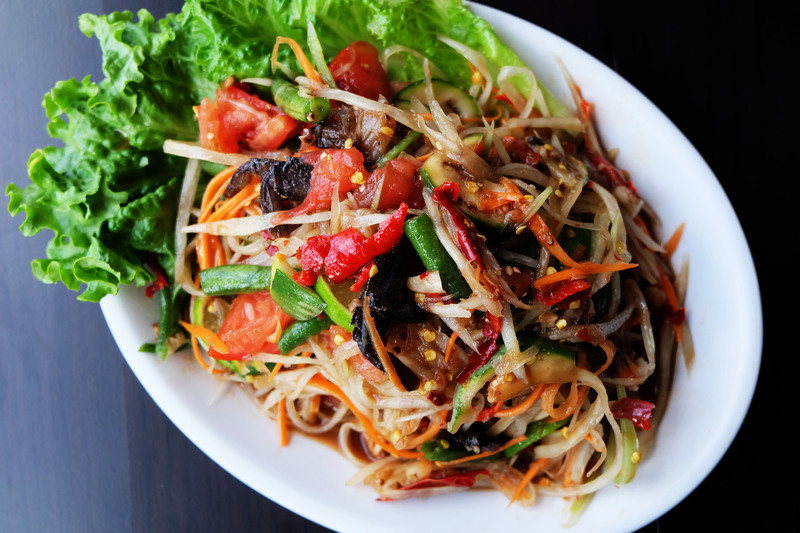 We are a cornerstone in the Chicago Uptown community and have been recognized for our outstanding Thai cuisine, excellent service, and friendly staff. Our Chicago Thai restaurant is known for its modern interpretation of classic dishes and its insistence on only using high-quality fresh ingredients. Because we aim to make food as authentic as we can, some dishes may be very spicy or pungent. Others may contain bones or spices (seeds and leaves). We also may not be vegetarian-friendly due to above reason but we will try our best to accommodate. If you get past these, we are sure you will enjoy the food! In Thai, Immm means "I'm full" or "I'm stuffed." If you want to do it as the Thai's do, say "immm" when you're done eating, follow by "arroy" if it's delicious!